games to organizations benefitting children, valued at $6 million. today with a ribbon cutting ceremony and game day. historical city tour, a visit to the wetland park, and more. participation for corporate volunteer programs in 2015 was 31 percent. month year-round to volunteer with organizations benefitting children. for Tots, donating approximately $3 million of toys and games annually. Senior Vice President of Global Philanthropy and Social Impact, Hasbro. 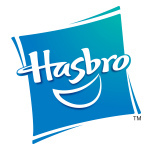 or follow the company on Twitter (@Hasbro).